One of the most commonly Googled questions about Canadian-American actor Michael J. Fox is simply ‘What happened to Michael J. Fox?’ Fox was a bona fide icon of the ’80s, best known for playing squeaky-voiced time-travelling teen Marty McFly in the Back to the Future trilogy. Back to the Future is not all that Fox has appeared in throughout his long and varied career, however. 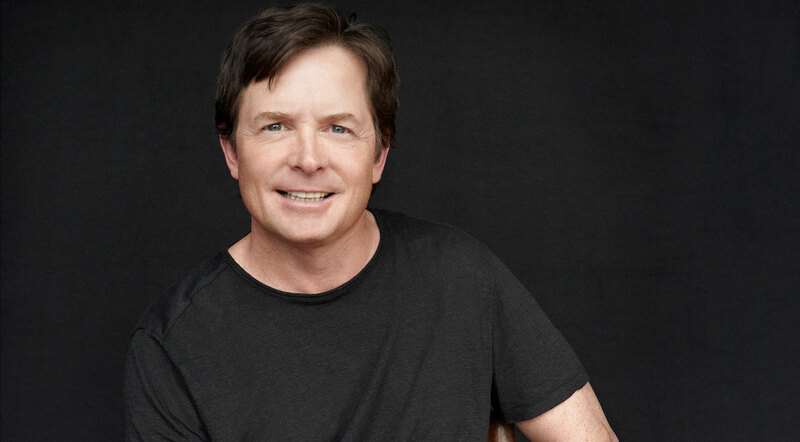 This article will take a look at some of his previous roles in film and TV that led to his iconic casting as Marty McFly. Born in 1961, Fox’s original dreams of playing professional ice hockey were dashed by his short stature, so acting appeared the most sensible alternative. He landed a role in Canadian sitcom Leo and Me at fifteen, his height now working to his advantage by enabling him to play twelve year old Jamie, the nephew of the title character. Fox’s success led him to quit high school and move from Vancouver to LA with the support of his father, where he was cast in Palmerstown, USA, a television drama about two nine year old boys in the Deep South who overcome racial barriers and become best friends. Fox then starred in Family Ties in 1982, a show about a clash of values between former hippie parents and their Republican children. The role of Alex Keaton won Fox 3 Emmy awards for his happy-go-lucky portrayal of a teenager who embraced Reaganomics and had a picture of President Nixon on his lunchbox. 1985’s Teen Wolf marked Fox’s big break in the film industry, where he was cast as Scott Howard, a high school student who also happened to be a werewolf. The film centres around Scott’s struggle with the trials and tribulations of school life while wrestling with his animalistic nature at the same time. The role reinforced Fox’s his acting pedigree in fish-out-of-water comedies. As a result, Eric Stoltz was dropped from Back to the Future for being too intense and Fox was brought in as a more humorous Marty McFly. Critics found Fox ideally suited to the role of Marty, and classic scenes like Marty’s rendition of ‘Johnny B. Goode’ at the Enchantment Under the Sea Dance just wouldn’t be the same without Fox’s trademark bewilderment and bright-eyed humour. Fox, on the other hand, was convinced that he had been a disaster as Marty McFly. 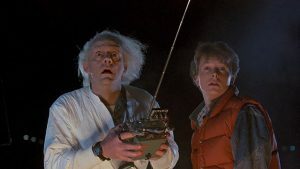 Back to the Future was 1985’s highest grossing film and a hit with critics and audiences alike for the rapport between Marty and Doc Brown, his eccentric scientist neighbour. In the late ’80s, Fox went for more serious roles like a blue-collar rocker in 1987’s Light of Day, a fact-checker and drug addict in 1988’s Bright Lights, Big City, and a soldier haunted by his conscience in 1989’s Casualties of War. He then shot the two Back to the Future sequels back-to-back, both less popular than the first film but immensely popular as a trilogy. ‘Back to the Future Day’ was celebrated on October 21st 2015, the day where Marty and Doc go to the future in the second film, and many promotions were made to mark the event, like Universal releasing a trailer for Jaws 19 and Mattel producing an advert for the films’ famous hoverboard. Fox has been in the spotlight more recently for his high-profile fight against Parkinson’s Disease. Diagnosed at 30, he quit his starring role in the ABC sitcom Spin City, his last full-time job. Since 2000, the Michael J. Fox Foundation for Parkinson’s Research has funded $325 million to improve treatment options for those suffering with the condition. He went back to work in 2013 on The Michael J. Fox Show, a sitcom about a news anchor with Parkinson’s coming out of retirement based on his own experiences. Even without a pilot episode, NBC agreed to a 22-show run, demonstrating the enduring appeal of Michael J. Fox and his work both in the past and in the future, wherever it may lead him. After receiving a guitar for Christmas at age 8, Fox taught himself to play. In 2016, he joined blues rocker Dave Matthews on stage at the Michael J. Fox Foundation’s annual charity event and wowed the crowd with his solo in ‘All Along the Watchtower’.